We are working with MANDO (Matonyok Nomads Development Organization), located in Karen, Kenya, that works in the southern Rift Valley. MANDO is a young, rapidly growing nonprofit NGO addressing local challenges. Its nomadic, pastoral Maasai people face such a severe drought that they are forced to become more agriculturally based. This means reliable water sources must be close to evolving communities. MANDO is looking to help with this adjustment and help overcome root causes of poverty, introduce sustainable methods of subsistence, improve education and gender equality. Its highly effective approach is based on encouraging and enabling the people in planning and decision making. Its Board is comprised of community members who volunteer time and effort. MANDO maintains openness and accountability. 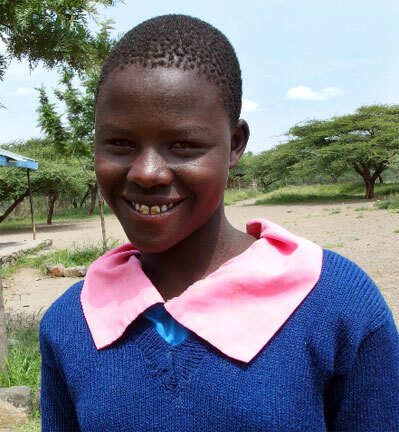 Sponsorship for a year costs: MANDO helps raise money for high school fees that local Maasai families cannot afford. Sponsor all or part of a child's school fees today! Includes: tuition for one year $25, uniform $40, supplies $75 and support, $22, and wire transfer fee. Includes: tuition for one year $25, uniform $40, supplies $40 and support, $21, and wire transfer fee. Includes: tuition for one year $419, uniform $85, supplies $172, transportation $23 and support, $45, and wire transfer fee. Includes: tuition for one year $436, uniform $50, supplies $156, transportation $23 and support, $45, ​and wire transfer fee. How it works: You can choose to sponsor one year, or multiple years. You may sponsor just one year, and later decide to do another. You can donate just part of the sponsorship of a child in partnership with another person who donates the rest. Every little bit helps! ​Feliza Naipante, age 14 in 4th grade, lives with three brothers, a baby sister and her mother. Her deceased father had four wives who now have separate households. He left three cows and five goats for them to live on. She walks two hours to school accompanied by her brothers until they split pathways and she is on her own. Her favorite subject is English. 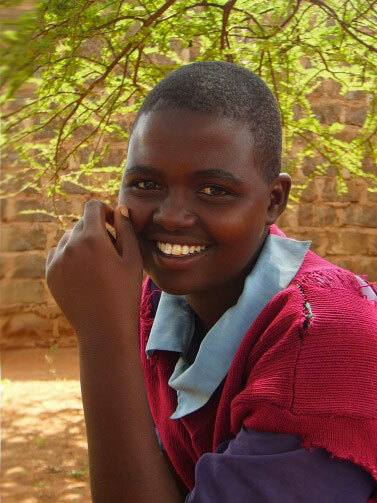 She dreams of becoming an English teacher and instruct in Christian Religious Education (CRE). She loves to draw. After school she helps her mother bathe and baby sit her sister, as well as prepare meals and wash up afterward, then does homework. Weekends she does laundry, plays football and goes to church. ​$141.00 - Sponsorship includes: tuition for one year $25, uniform $40, supplies $40 and support, $21, and wire transfer fee. Charity (Soilal) Samug, 15 years old in 5th grade, lives with her maternal grandparents not far from the school she attends. It's the only way she can attend school. She returns to her home about two hours away on some weekends. Her father died of illness leaving her mother, a brother who never attended school and a younger sister. She hopes to become a teacher. $141.00 - Sponsorship includes: tuition for one year $25, uniform $40, supplies $40 and support, $21, and wire transfer fee.